beautiful detailed architecture, besides being part of history of Tecoman. Also in the center of the city is a lot of establishments that are the basis of economic movement in the region. Likewise you will find plenty of services that anyone wants to buy. The base of the city is surrounded by green trees and well-defined areas called "Garden Hidalgo" as well as spaces for social recreation of people. In the center is the church of Santo Santiago where a statue of the Virgin of Candelaria). It is an eco tourist spot that is located at a distance of 7 km east of Tecoman. The Crocodile consists of the lagoon "La Colorada" which is connected to the lagoon Alcuzahue (it is the largest of Tecoman). People can visit the place on foot on a bridge and then will see crocodiles of various sizes and species (there are 14 species of crocodiles) plus they know the way they live and feed. In the crocodile is a special area where all people are safe because there are protections and considerable distances (safe) to observe all the crocodiles. It is important to know that the crocodile is also an open-air museum and has parking and restrooms. It is a village that is part of the city of Tecoman. It is very small and only has about 17 people. In this place is the lake that bears his name whose site is popular for its beautiful surroundings. In the lagoon Alcuzahue women's volleyball tournaments each year at national level as well as other sports are held. This lagoon is a tourist reference of Tecoman as there are many domestic and foreign tourists who prefer to enjoy the nature of the place and certainly ecotourism in the lagoon is one of the main points for conducting outdoor activities that allow live with nature without altering or damaging it. How do I get to the Laguna de Acuzahue? Lagoon Alcuzahue is 8 kilometers south of the city of Tecoman on the road to Boca de Apiza, you see a warrant when passing by the fourth, then deviates where "Laguna de Alcuzahue" says follow the signs can reach the lagoon. 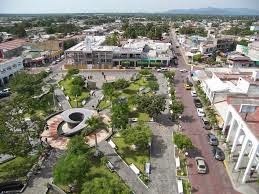 It is located in the city of Tecoman and is certainly a place of natural recreational amenities. Receives visitors every year to have a beautiful landscape where you can perform different activities that do not harm nature. Importantly Amela Lagoon is a place for tourism is growing. The Ministry of Environment and Natural Resources (SEMARNAT) indicates that the lagoon is a natural environment that allows exploit ecotourism for tourism contemplate trying to preserve and sustain the natural places. Also practice sensitizes tourists flock to the lake to build a special respect for the care of nature because it provides a lot of health benefits as well as being a recreational place. How to get to the Laguna de Amelia? It is located 17 kilometers from the city of Tecoman and to reach the lake must be entered by the ejido of Chanchota. It is a source of natural water that comes from the earth, the spring is an ideal place to enjoy nature with your family and friends because it is a place of natural relaxation that allows recreational activities. It is said that the springs are therapeutic for the type of water they have. If you visit the city of Tecoman you must know the Manantial Guaracha because in this place you can relax and have fun with the assurance of being in a safe place. In the area of ​​the spring you will find dining rooms, grills and restrooms. How to get to Spring Guaracha? Leaving the city of Tecoman the spring is 15 kilometers from the cruise Caleras and must follow the road to the town of Madrid, there to find the signs that tell you where it has to go to reach the spring. It is a museum that displays more than 200 pieces of the oldest pre-Hispanic culture in America. In this place you can observe own historical pieces and objects of the identity of the region. They also observe tombs and grave goods that show the culture of western Mexico. Likewise, the museum teaches people the geography of the state of Colima, the first archaeological evidence, rituals and myths of the past, etc. The museum is divided into four rooms, which are: Shamans, the capacha, the sale of good and evil and the shaft tomb. The first shows a geographic general scenario, the second shows the state of Colima and Michoacan north coast, in the third are the gifts of heaven and earth, the origin of God and the chain of life, the fourth sample myths , rituals and eternal enclosures. Hours: Monday through Friday from 9:00 am to 1:00 pm and from 4:00 pm to 7:00 pm. Saturday from 9:00 a.m. to 1:00 pm. It is a water source that is located in the town of Chanchopa belonging to the city of Tecoman. It is an ideal place to relax and to perform some activities that allow enjoying nature because it is a "spring" type of crystalline water rather small dimensions. The hatchery of Chaupadero is a place that protects the sea turtle and environmental education. It has a special area where they can camp and also a space where explanations are given to visitors about what this hatchery and care that turtles must have to preserve the species. Some of the explanations given to those who visit the place is the physical description of the turtles, it has a wide, short trunk with a shell that protects them and belong to the order "testudines". Your metabolism is very slow and may be without breathing for long. Importantly, the hatchery is a nest of turtles where mothers are incubating. These escavan a part of the area where the nest is to obtain the necessary heat for their offspring. There are different classifications of turtles and what is taught in the hatchery is the life of the turtles, the characteristics of natural habitat, way of feeding and behavior they have. How to get to Tortugario of Chupadero? It is located at a distance of 7 kilometers of Tecoman. Take the road to Cerro de Ortega and find a deviation Ahijadero, continuing the prescribed way and at the bottom of this the hatchery is located. It is a natural beach place which is surrounded by the river, sea and stereo Cayman. You can camp and fish. To eat in that place there is a restaurant. The sandy beach is gray and the color of the sea is emerald green with moderate waves. Getting to Boca de Apiza? It is located 19 kilometers from Tecoman. You take the road to Cerro de Ortega passes that site and then you can see the signs telling you the way you should take to reach Boca de Apiza. It is located on the right bank of the River Coahuayan (border with the state of Michoacan).